Christoph Fischer​ meets author Jana Petken talking about her books including The Errant Flock set during the Spanish Inquisition..
Lovely interview, Christoph. Nice to know more about Jana. And that cover — wow is it ever an attention grabber! Hugs to you both. Sorry to hear about the circumstances in which Jana started writing, but it’s good to know she’s discovered a new passion. All her books sound fascinating. Thanks Christoph! I’m BIG on ‘gritty’ also… Agree with her as well re writing/marketing… Great interview, Christoph and Jana… The best to you, Jana. 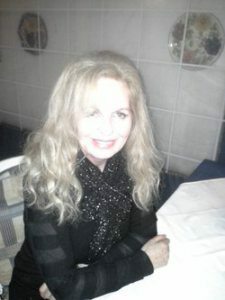 I met Jana when she acted as interpreter for my Husband and found her a nice warm caring person I have since lost my Husband Roy but will always be thankful to have met Jana and wish her well in future as an Author.